This is my answer(No city has been harder hit by the economic downturn than – 09.28.09 – SI Vault). 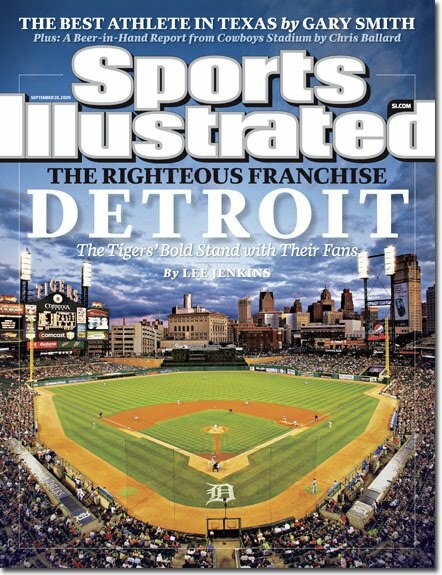 The Tigers, as you will see in this article from Sports Illustrated are more than just a baseball team. They’re one of the few shining lights we have left in Detroit. Beyond that, they know that they are and as such, they run out every ground ball and are still in first place in the AL Central. They don’t just play for the money. They play for me, and for every person who comes to that ball park, and for every person who comes to visit downtown Detroit. That’s why I’m a Tigers fan … because they are Detroit, Michigan fans.